General relativity ranks among the most accurately tested fundamental theories in all of physics. Deficiencies in mathematical and conceptual understanding still exist, hampering further progress. 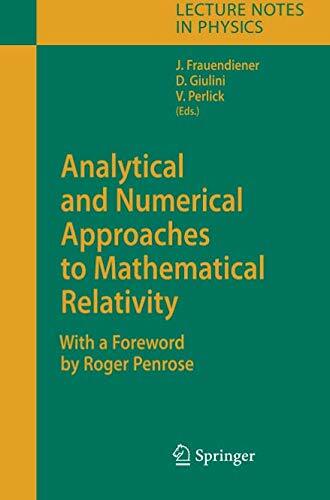 This book collects surveys by experts in mathematical relativity writing about the current status of, and problems in, their fields. There are four contributions for each of the following mathematical areas: differential geometry and differential topology, analytical methods and differential equations, and numerical methods. About: General relativity ranks among the most accurately tested fundamental theories in all of physics.